The Adaptavate team topped off an amazing year by winning a Climate Innovation award in London on Tuesday 6th December. Tom took part in a workshop day together with other start-ups in the food waste and built environment space, working on solutions to some of the big urban problems facing London. 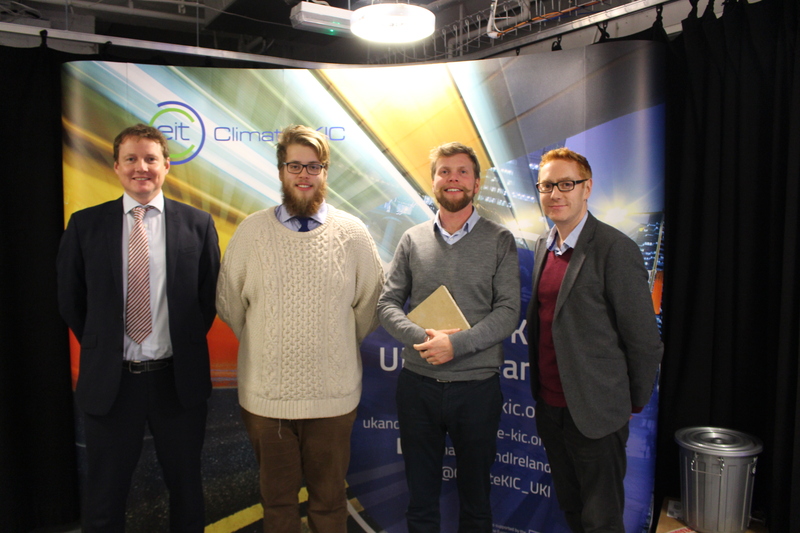 The event was facilitated by London Waste and Recycling Board (LWARB) and Climate KiC. Stuart Ferguson, Head of Investment at LWARB explained that “LWARB are tasked with catalysing the development of the circular economy in London on behalf of the Mayor of London and the Greater London Authority. We are really interested in seeing the start-ups that are really going to help drive this circular economy movement in London”. The day was buzzing with ideas, innovators and investors, all sharing the vision of better business to support the circular economy. The teams consulted with experts and advisors throughout the day and this culminated in a pitch session in the evening. It is great to be recognised as a company that is positively disrupting the construction material industry and developing products for healthier, no waste buildings of the future. 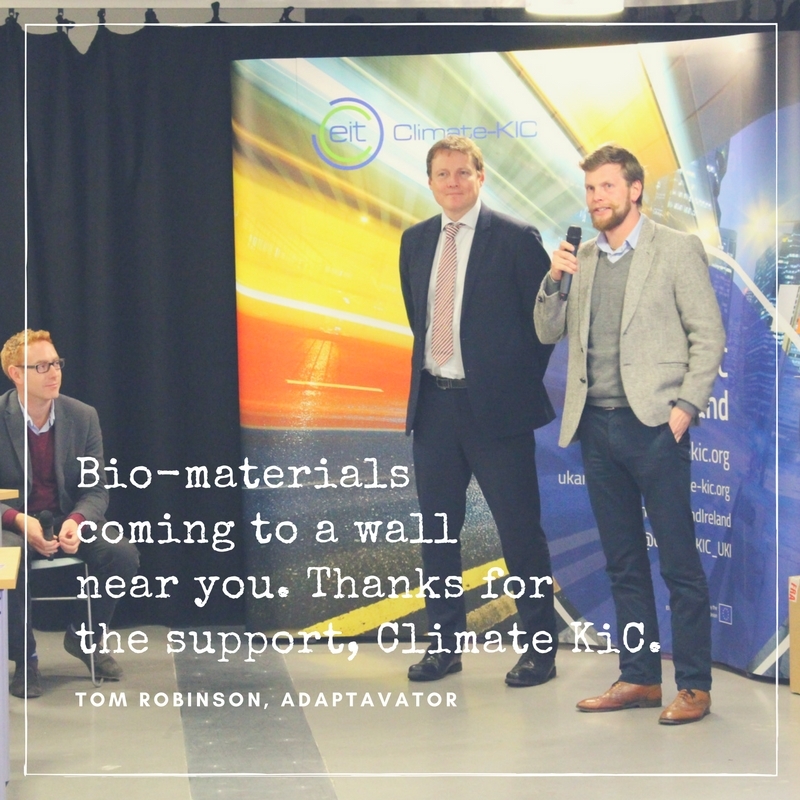 We will be using the support to help catalyse our production process so that we can soon be bringing our bio materials to a wall near you. Our founder, Tom finished off by saying “it is such great validation of our business to win special awards like this as there were some other great, highly innovative companies there. We are very excited to start working with LWARB, The Mayor of London and Climate KiC to help reduce building material waste that goes to landfill by the adoption of renewable and compostable building materials like Breathaboard and Breathaplasta”.